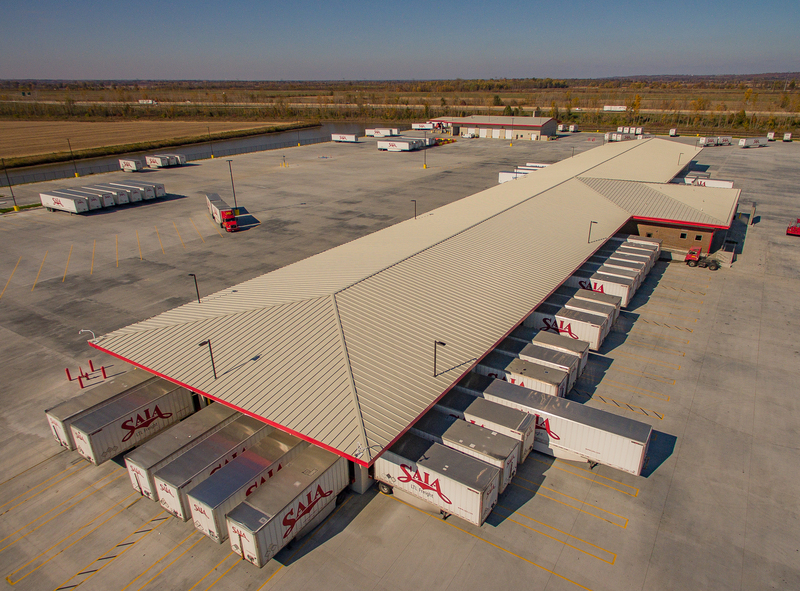 BOSSIER CITY, La., May 18, 2018 – The new Saia LTL Freight facility in St. Peters, Mo., was designed with company branding in mind. 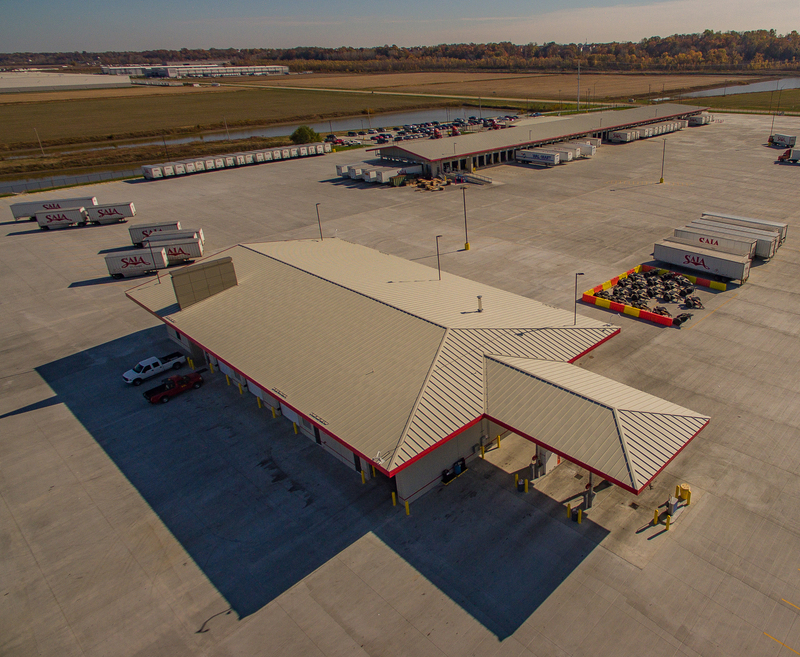 The colors and products chosen, including metal roofing from McElroy Metal, were a true team decision. David Mollenkopf, AIA, of Mollenkopf Design Group in Nashville headed up the design with his project manager, Eric Scowden, AIA. 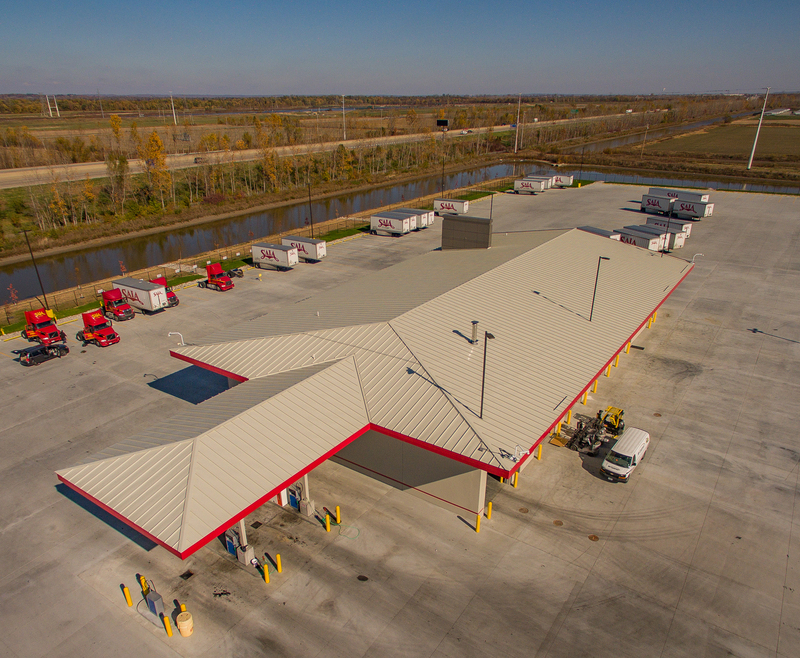 In addition to metal, TPO and membrane roofing was considered for the project, which was very near the highway. 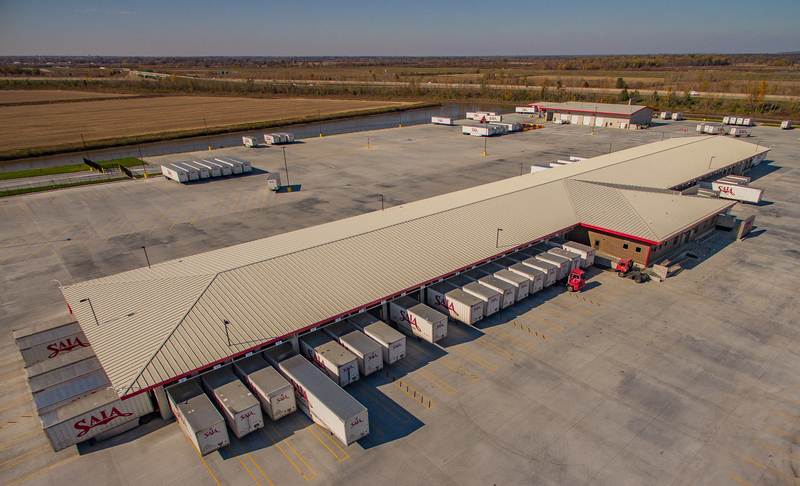 The roof is 90,000 square feet of McElroy’s 238T symmetrical standing seam roofing system, in a PVDF Sandstone color. The panels were formed on site to meet the request from Saia to have roofing with no lap seams. The fascia and gutters are Brite Red and the soffits are Marquee-Lok in Sandstone. 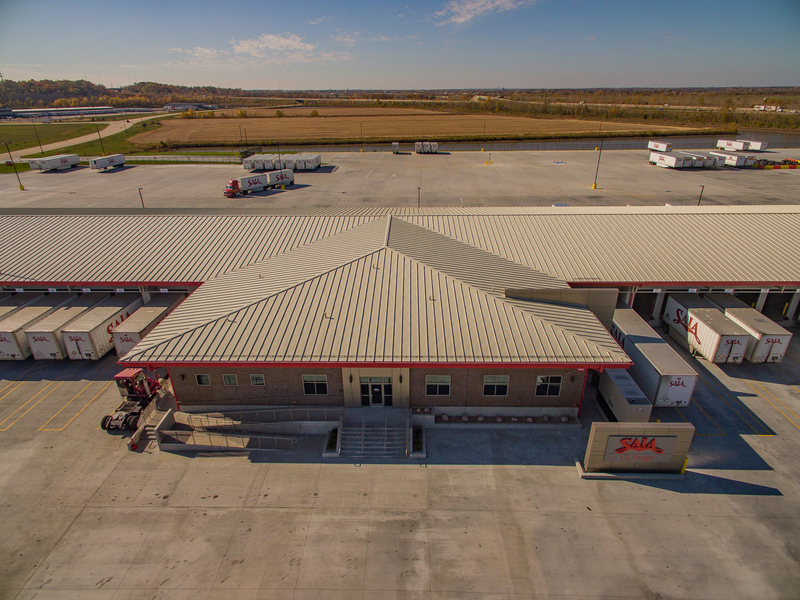 Missouri Builders installed 90,000 square feet of roofing, 36,000 lineal feet of seam caps, McElroy Metal Marquee-Lok soffits in Sandstone and the Brite Red fascia, as well as 3,100 square feet of 2-inch thick insulated metal panels in about five months. The project was completed in August 2017. Architect: Mollenkopf Design Group LLC, Nashville, Tenn.
IMP and Metal Roofing Installer: Missouri Builders, Jefferson City, Mo.